For homeowners, there is one consistent item that you can always count on to be there for you: the to-do list. Let’s face it; there is always something around the house that needs your attention. The real challenge is finding the time to tackle that pesky to-do list. 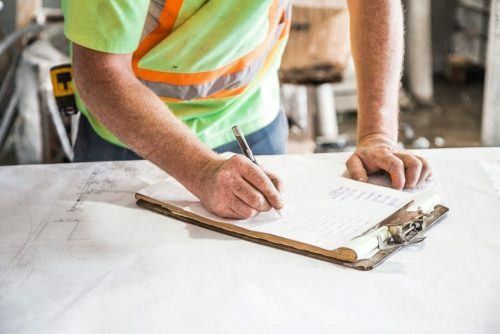 For this reason, you need to prioritize your to-do list and figure out what home improvement projects you can properly handle. Let’s take a closer look at this process to help you finally take down that to-do list. Prioritization is the key to a successful to-do list. List the items from most important to least important. For example, let’s say you noticed a small leak in your attic during the last heavy rain fall. Water damage is a serious issue that can lead to structural damage and mold problems. This should be at the top of your list to be fixed immediately — before it turns into a larger (and more costly) issue. Other less urgent issues, like a squeaky closet door for example, should be moved further down the list. Listing your home improvement projects in this fashion will ensure that you don’t let any crucial projects slip through the cracks. Take a look through our blog for more articles that will help inform you of some more important home improvement topics that should always be on your radar. Review your to-do list and be honest with yourself about the projects that you can handle, and the ones that you cannot handle. For example, let’s refer back to our previous scenario of a small leak in your attic. Since this is not an everyday home improvement issue, there’s a good chance that you won’t be properly equipped to fix the leak. Home roof repairs require a trained eye to analyze the leak and establish a plan to properly fix it. For your convenience, you can use the Repairman App to quickly locate the most qualified professionals in your area. The bottom line is: don’t try to be a superhero when it comes time to tackle your to-do list. Know your limitations. Sometimes, we homeowners end up making matters worse when we dive into projects that we can’t handle. Handyman services and home improvement professionals that specialize in specific areas (roofing, siding, plumbing, etc.) will ensure that your home is properly maintained and repaired where it needs to be.